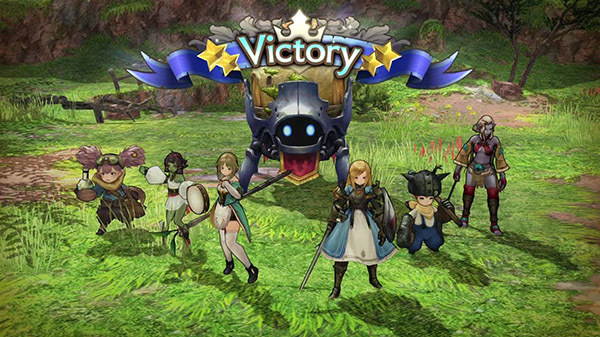 The PlayStation 4 version of Caravan Stories is now available for download as a free-to-play title via the Japanese PlayStation Store with support for Japanese, English, and Traditional Chinese language options. Five allies of different races in an interwoven story. Beast – Make allies with over 100 different species of Beasts to be discovered. Time – The scenery changes depending on what time it is—morning, noon, evening, or night. Caravan – Customize your Caravan to be your very own, and set off on an adventure. L1, L2, R1, R2 buttons: Targeting – Select enemy characters with a smooth motion / easily select NPCs or enemy characters. Left stick: Moving – Simple character movement. Right stick: 360-degree camera – Zoom in and move the view around however you want. X button: Jump – Your character can even jump! Directional keys + Left stick: In-battle skill use – Choose where and how you want to use your skills. For more information, an English help website is available here.